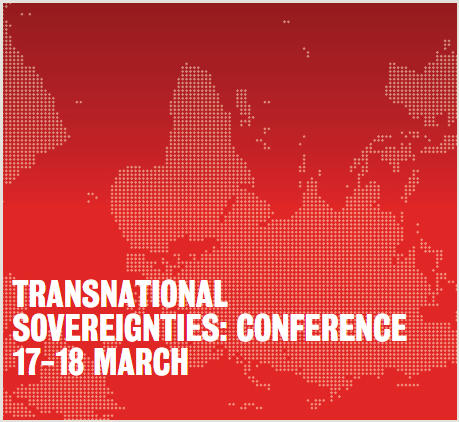 Next week I’ll participate in an exciting conference on ‘Transnational Sovereignties: Constellations, Processes, Contestations’, convened by Peer Zumbansen and Stephen Minas at King’s College London, and bringing together a great group of scholars with very different perspectives. I’ll talk about ‘Liquid Sovereignty?’, drawing on my work on liquid authority as well as my broader engagement with translating political ideas from the domestic to the international level. Information on the conference, also on how to attend, can be found here. This entry was posted in Uncategorized on March 11, 2016 by nkrisch.